Cereals provide more calories to the human diet than any other source. 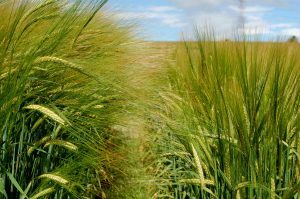 And grain from cereals such as barley are also critical for brewing and distilling, especially of whisky, our most valuable export. Dr. Sarah McKim is using these tools in her research to identify and learn more about the genes controlling barley development. She will discuss insights from her research and how we can use this knowledge to help improve the barley we grow. Join us at Café Science Dundee at Avery & Co. at 34 South Tay Street on Monday 20th May 2019, at 7pm. This is a free event and everyone is welcome. There is no need to book in advance but arrive early to avoid disappointment.